What is the meaning of the movie "Mulholland Drive"
How to drink "Martini extra dry"
Hyperhidrosis, or excessive sweating is quite common. Some try to hide its manifestations, by resorting to various tricks, for example by wearing dark clothing, avoiding handshakes, while others use deodorants and antiperspirants. A lot of positive feedback received dry dry. 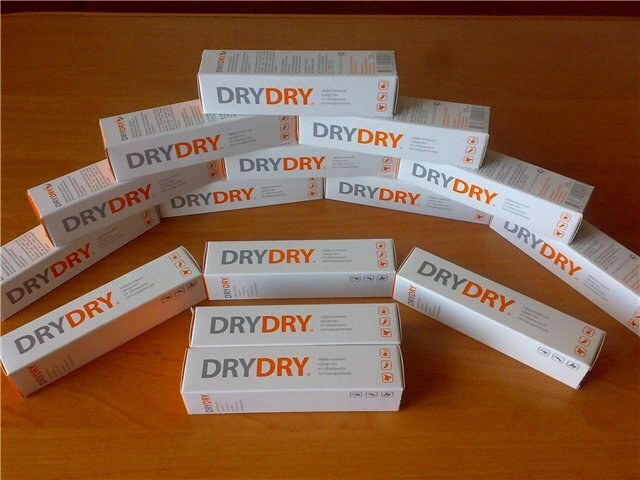 Dry Dry – shampoo from sweating. The action of the drug is as follows – after being hit for a certain area of the skin sweat glands on it are reduced. Dry dry can be applied on armpits, hands and feet. There are products designed especially for owners of sensitive skin. They are suitable for daily use. Apply dry dry simply. It is only necessary to adhere to certain recommendations. Apply it to your armpits need an hour before bedtime to clean, dry skin. The next morning, you can carry out the usual water treatments without any restrictions. Best site application of pre-wet a dry cloth, otherwise may cause burning and itching. If you notice such feelings, means need to wash off warm water. If after repeated use the discomfort will continue, perhaps we are talking about an allergic reaction. Should immediately stop using tool and consult a specialist. If you just got done waxing underarms, you must wait at least 48 hours before applying dry dry on the skin. Also, the manufacturer warns that after applying dry dry, you should wait until it is completely absorbed into the skin, otherwise it can leave marks on clothes. As a rule, the validity of dry dry lasts from 5 to 7 days. In the future it can be applied to the skin repeatedly. Thus, one bottle will last about 3-5 months. No restrictions on the use of dry dry no. If you are using the tool constantly, it is recommended to take a break with a duration of one month after a year of use. This means you cannot apply to children under 16 years of age and pregnant or lactating women.